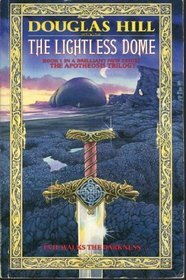 A very classic Fantasy novel. No style in particular, not so good in the description nor the suspense. In fact it is all about a part of description, a part of action, then the character thoughts, then the conclusion part. And this following happen twice by chapter. But, I have to admit it works ! In fact you cannot stop reading until you have finish a chapter. And that is great too. You can make some stops in your reading without being frustrated. It made this first book of three a very good one for holidays. Douglas Hill serves us a good story about a man which is bring to a brand new world where he has to save a princess. I have told you that is not a wonderfully new story in the Fantasy world but it is quite efficient. It is a good rest between another big book of fantasy in ten volumes or more. Amazing by its simplicity, astonishing by his success over you. Definitively a good one.